In conventional education, it usually transpires that rote memorisation comes first, and then conceptual understanding arrives (if at all). 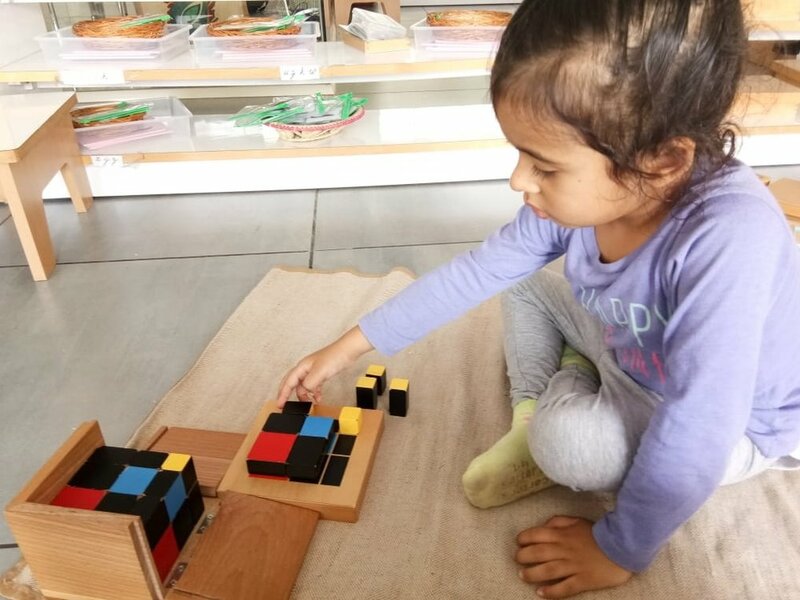 In Montessori, conceptual understanding combined with sufficient practice leads to memorisation in a very natural manner. The addition strip board is a typical example of this process: the child works on single digit addition using concrete material. After sufficient practice — along with recording the sums on slate or paper — the child is able to naturally increase her recall of individual sums & eventually memorise them. Further, the concrete materials allow the child to make her own discoveries; for example, it is common to see children discover the commutative law of addition on their own (a + b = b + a), or in the case pictured above, that the number 10 can be split into two smaller numbers in many different ways!